I use to keep abreast of Situation Awareness issues internationally. We have released a new version of the RW Crises app, which has seen more than 3,500 downloads since its launch in October 2016. 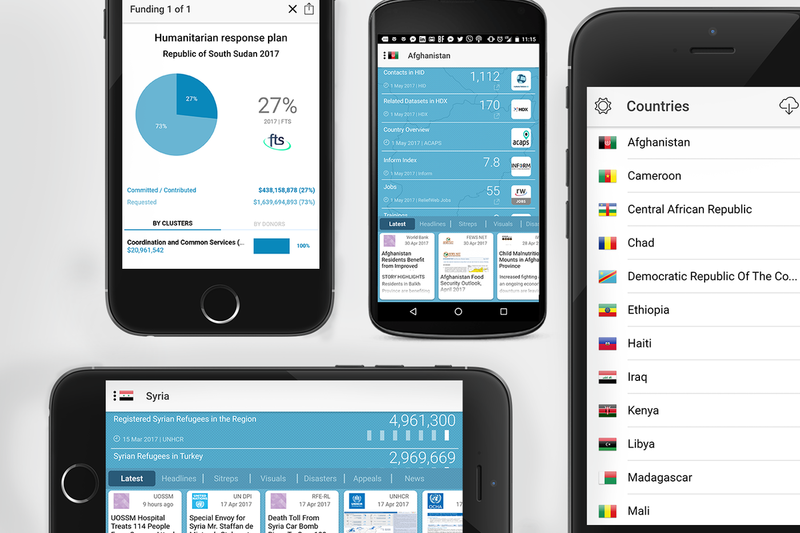 The Crises app features key figures, access to latest updates, real-time funding status, as well as an overview for each humanitarian crisis. The new version has been enhanced with features, including links to third party datasets and in-country contacts and country overviews. Crisis key figures, such as the number of people affected by health emergencies within a crisis situation, have been scaled up in their coverage. These numbers are hand-curated by the ReliefWeb editorial team from the most trusted sources in the respective sector/cluster. The app currently covers over 20 countries and new countries will be added when major emergencies strike. Going to the field with limited internet access and still want your data? You can now save Crises content for offline use in areas with limited connectivity - an invaluable feature for aid workers in the field. You can access all key figures as well as five reports in each category (Headlines, Sitreps, Visuals, etc.) while offline. Seamlessly switch between countries and choose the type of content you want to see. Interested in situation reports only? Simply go to the Sitreps tab and swipe through the latest reports. RW Crises has been optimized for both Android and iOS devices. Switch countries and access the latest reports in seconds. You no longer need to worry about storage space as the app is 20 times lighter than before!